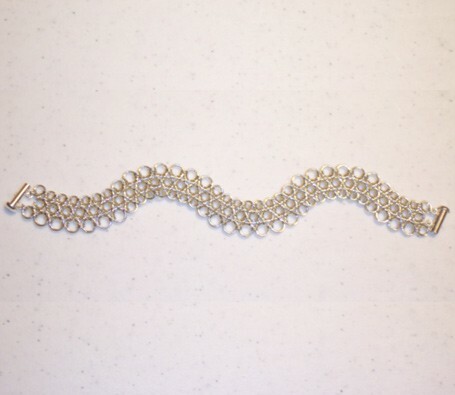 The Wave Bracelet is related to the Japanese 3 Row Bracelet. Thie difference is in the utilization of varying sizes of rings to cause the wave effect. The very small connecting rings can be a challenge, but it is well worth the effort. The bracelet can be made in a reversible manner when utilizing a clasp that can be reversible. This is an intermediate weave. The clasp is not included in the kit.